You may be old enough to believe in fairytales but you are never old enough to enjoy a classic story, especially if it serves as an inspiration for a slot machine. Hansel and Gretel slot machine is a NetEnt’s take on the fairytale of the same title featuring its protagonist who are looking for a way out of the woods before an old hag eats them. This is the second installment in the Legendary Fairytales series brought to you by NetEnt. The slot uses 5 reels with 10 paylines and comes packed with multiple bonus features including Stacked Wild, respins, free spins and more. Help Hansel and Gretel escape from the woods and you can end up winning some hefty prizes! Pays both ways. You can create winning combinations left to right and vice versa. Bonus features. You can trigger them throughout the game by landing special symbols or during the base game randomly. Stacked Wilds. Appearing on the reels 2 and 4, they trigger respins providing you with additional chances of winning. Random base game bonus features. You can get stacks of Wilds or symbols of a kind added to the reels and hit some big wins. High RTP of 96.71% promises a great value for the invested money. Blood Suckers and few other offer loose NetEnt slots offer higher return, but 97.71% is still good. Visually stunning. The game is flawlessly designed to provide you with an enjoyable gaming experience and help you unleash your inner child. Available across all devices, both desktop and mobile. Only 10 paylines and high volatility. Despite a high RTP, you won’t hit wins frequently as the game offers only 10 paylines. In the base game, Wilds appear on the reels 2 and 4 only. 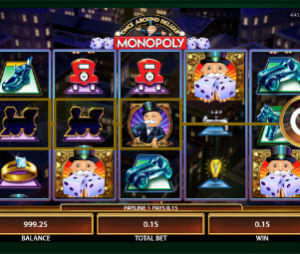 Bonus Scatters land on the reels 1, 3 and 5 only, so it takes time to trigger free spins and other bonus features. Mediocre payouts with a 400 coin top fixed jackpot. The Hansel and Gretel slot boasts a wide range of bonus features you will have to rely on if you want to win big. Whenever Stacked Wild appears on the reels 2 or 4, it awards a respin during which stacks of substitutes can also appear on the reels 1 and 5. Triggered at random, the base game bonus features can add up to 9 top paying symbols to the reels, turn regular symbols into symbols of a kind or add Stacked Wilds to the reels 1, 2, 4 or 5 and award respins. All random features are awarded by a fairy appearing above the reels. Three treasure chests can award 10 free spins, Candy House Bonus or a coin win. In Candy House Bonus you should pick candies to reveal multipliers going up to 120x while a coin win is equal to 15x your bet. The NetEnt product took us back to childhood with exquisite visuals and sounds and the sight of Hansel and Gretel strolling down the woods and turning around to see the outcome of each spin really melted our hearts. However, on the gameplay side of things, we are not very impressed as larger wins can be obtained only with the help of the fairy and her magic wand. Looking for something more mature? Try out Lost Relics, Twin Spin and more. If you are looking for another fairytale-themed slot, make sure to give other two titles of the Legendary Fairytale series Red Riding Hood or Mirror Mirror a try.